After playing seven games in 2014, Cameron all but cemented his spot in Adelaide’s starting lineup in his second season at the Club. 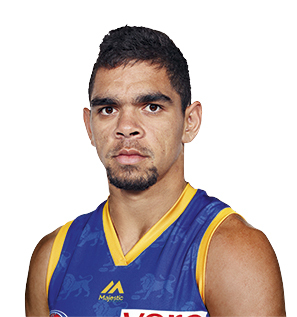 The speedster developed a lethal combination with mentor and fellow livewire Eddie Betts to terrorise opposition defenders. Cameron played 22 games for 29 goals to go with 17 goal assists. His best return was a four-goal performance in the Round 17 win versus Gold Coast. Cameron received a NAB AFL Rising Star nomination for his three-goal effort in Round 13. He also featured in arguably the Club’s season highlight when he kicked the match-winning goal in Adelaide’s nail biting Elimination Final.